Walsall Woodstock two day music festival this weekend! Why not print a few flyers out and pin them up? 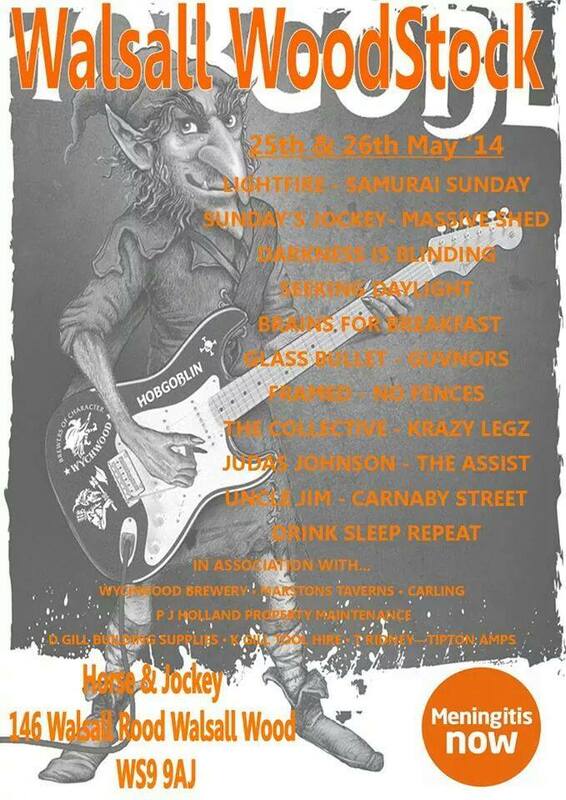 This bank holiday weekend – Sunday 25th May and Monday 26th May 2014 – sees the annual Walsall Woodstock music and entertainment festival at the Horse and Jockey Pub, Walsall Wood. This is always a popular event, and always for charity – this year, it’s in aid of Meningitis Now. There will be great music, raffles and other fun too. Walsall Woodstock is an annual live music event, with the aim to raise lots of money for local children’s charities, it has been established since 1999. 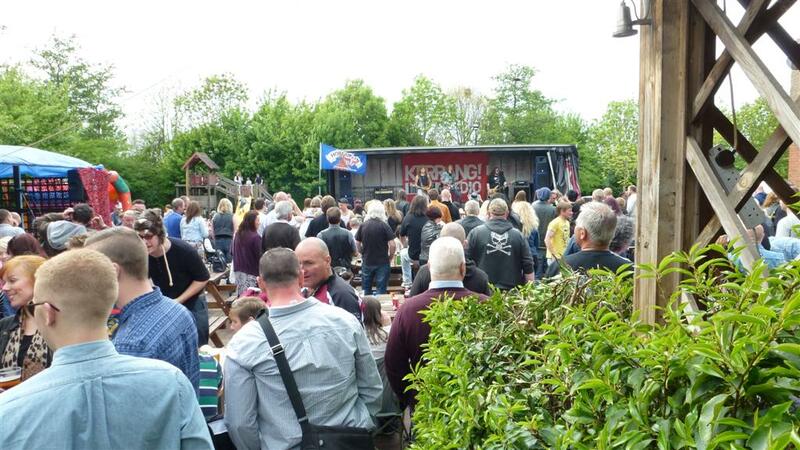 Walsall Woodstock is an event held in the grounds of the Horse and Jockey pub in Walsall Wood. This year we are holding a two day event with live bands throughout the May bank holiday. The music festival is an extremely popular event with thousands of people attending each year. The aim of walsall woodstock has always been to raise money for charities. It seems the fun starts at lunchtime each day, and continues throughout. If you pop along, why not take a few pics and send them in? Last year was very busy. Image by Clive Roberts. This entry was posted in Brownhills stuff, Environment, Events, Fun stuff to see and do, Interesting photos, Local Blogs, Local media, Local music, News, Reader enquiries, Shared media, Social Media, Walsall community, Walsall Wood stuff and tagged 2014, 25, 26, bank holiday, Brains For Breakfast, Brownhills, charity, Darkness Is Blinding, Drink Sleep Repeat, entertainment, Events, Facebook, Framed, Glass Bullet, H & John, Hobgoblin, Horse and Jockey, Judas Johnson, Krazylegz, Lichfield, Lightfire, Massive Shed, May, Meningitis Now, Music Festival, No Fences, Pubs, Samurai Sunday, Seeking Daylight, The Assist, The Collective, The Guvnors, The Nics, Things to do, Uncle Jim, Walsall Wood, Woodstock. Bookmark the permalink. 3 Responses to Walsall Woodstock two day music festival this weekend! Great stuff, I shall pop down there for an ear full of music. It’s great to have events like this to boost the local community and raise money. I shall be attending!